A chic night on the town? RVP Tours Limo will take you there. Regardless of whether it's a unique event, or only a night of taking the world by the face, RVP Tours Limousine and premium sedans are a top notch car benefit that can make your night memorable. You don’t have to worry about driving to the venue or driving back after the night’s end. Relax and enjoy our benefits of taking care of every little thing which can stress you out. Our expert chauffeurs will take you comfortably, securely and in style. And why not, since you are special! RVP Tours Limo is N.Y and N.J premier car service, working together from ages. We know the area well and our drivers are all well versed with the local and are very courteous and friendly. Any place your night takes you, our escorts know precisely how to take you. When you're prepared to proceed onward to the following venue or to head home, we'll be there similarly as guaranteed. You might need to make a special effort for your sparkling night on the town and contract a Rolls-Royce Wraith. Maybe a Lincoln town sedan may suit your necessities, or even a stretch limousine. Regardless of which of our exquisite armada you settle on, heads will turn as you move up in one of our faultless vehicles. At RVP Tours Limo, we trust every one of our guests are exceptional. When you select us, you're a VIP from the minute you call until the point you're dropped off home. Since you're exceptional, we treat every one of you like eminence, offering world class administration, friendliness, and solace at a reasonable cost. Since the night fits for lovers, take the long path 'round and adore the lights of New York City. There's nothing more romantic than watching out at the Big Apple from the reclining seat of a chauffeur driven limousine. Skim over the Brooklyn Bridge, as the night's guarantee opens out before you, reflected in the lights of the best city on earth. You're elite and your elite night deserves the best. That is RVP Tours Limo, car benefit where each guest is a VIP. You might be in New Jersey, went to the Shore or one of the state's renowned clubhouse, or in NYC, for a night of theater. Whatever your plans are, RVP Tours Limo is your hotspot for an important, top of the line night on the town. With demonstrable skill and tactful, mindful administration, our limousine benefit is the good to beat all. We're the something' something' more that adds style to an incredible night out. Require a first class night on the town? RVP Tours Limousine in New Jersey and New York's offer a world class administration and transportation cordiality. We've been organizing special night out for exceptional individuals for a long time. That is custom you can rely on. Call one of our expert organizers to make your night on the town the stylish event you owe. We'll take you in flair. Make your night on the town in Boston, MA significant with one of our Hummers, Party Bus, Lincolns Limousines, or Party Busses, Yes, these are the Goliath limousines you see driving around Boston! They highlight each convenience, lighting, TVs, stereo... You might be a mogul as of now, yet in any case, you'll surely feel like one when you get in and out and appreciate the favored life inside one of these super SUVs! Obviously our stretch and super stretch limousines are likewise accessible to take you out in style! You have family or companions visiting you in Boston and you need to take them out? Or then again, you simply need to get together with a few companions and have fun in the night? Call us today and we can book one of our vehicles to take you around the Boston region; for an outstanding night on the town in Boston, MA. Just call us with the date, time, and number of travelers, and we can prescribe and book the limousine that would fit you serenely. 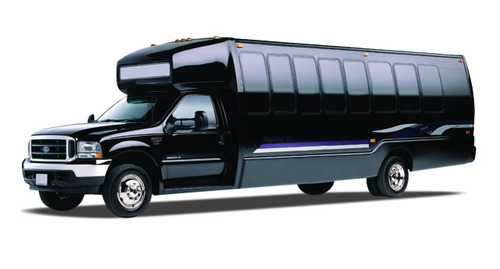 Look over the conventional stretch limousine, to the hummers or gathering transports.